As Google works on making false closure reports more difficult to manifest, businesses and marketing companies should frequently check Google Places listings for false closure reports. Equally important is for Google Places users to keep their heads on straight. Don’t give in to the temptations of false reviews and false closure reporting. This will not benefit you. If everyone starts making false reviews and false closure reports, how will people be able to trust Google Places local listings anymore? 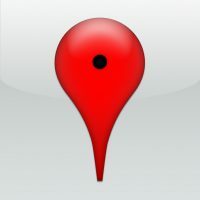 If your business can’t be found on the Internet, a free perk Google Places makes possible, your profits will diminish. The potential threat of Google Places sabotage should not deter you from having a Google Places account and it certainly should not stop you from establishing a presence and authority online. In the end, your ethical practices will outshine the unethical approaches to Internet success. In the meantime, you can still be tough and ethical at the same time by arming yourself with knowledge about these events and how to prevent and solve them. If you back down, then the other side wins. The power of knowledge is your first defense.